Microsoft’s own integrated STS in Windows Server named AD FS (Active Directory Federation Service) is still a broadly used mechanism to federate identities with Azure Active Directory. At Ignite 2018, Anand Yadav’s session BRK3226 provided some numbers and 71+ million users actively use AD FS to sign-in to Azure. 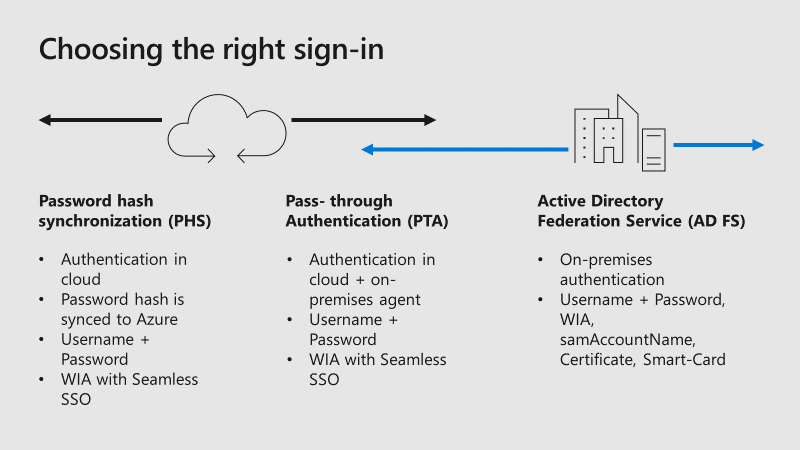 Azure Active Directory did a great step forward the last weeks and months to enable organizations to create (or migrate) custom SAML-based authentication settings for their on-premises applications. Azure AD has already thousands of applications integrated to enable single sign-on with other cloud applications like AWS, Goolge, Salesforce, and so on. Microsoft provided new tools and documentation to walk you through your app migration experience and show you which apps you can easily connect today. 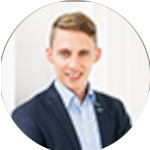 There might some compliance regulations that the authentication has occur on-premises rather than in the cloud. If you want to read more about how to secure your Office 365 environment with AD FS, read my latest blog post . It’s more than install and configure AD FS for your Office 365 environment. You should consider protecting your organization against password spray attacks, AD FS smart lockout, enable multi-factor authentication, and many more. This blog will explain why passwords are weak and why you should use a password-less sign-in method to access your on-premises and cloud applications. 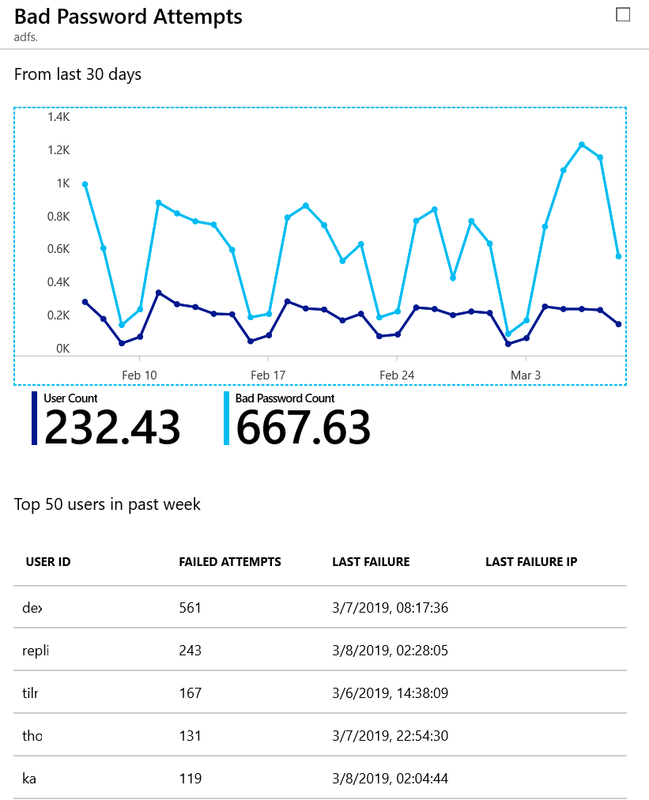 After reading these alarming numbers, you should think about to adjust your organization’s password policy, or even better, deploy a second factor authentication like Azure MFA for all your users. Additional information, like Azure AD Password protection that allows admins to prevent users from securing accounts in Azure AD and Windows Server Active Directory with weak passwords can be found in my other blog post . (User ID and last failure IP removed for privacy reasons). Protect your on-premises infrastructure from bad password attempts or other attacks. As you can see the huge number of failed login attempts in my screenshot above, a solution is to prompt for the external factor first and only if the external authentication is completed, the user then will see a password prompt. Eliminate passwords entirely but use a strong, multi-factor authentication non-password based method in AD FS. There are some prerequisites to your environment to enable external authentication providers as your primary authentication method in AD FS. More information on the prerequisites and how to configure the authentication methods can be found in this Microsoft documentation. Microsoft did a great job and provided a lot of tools to secure your organization’s environment. Independently for which authentication solution you will decide, you have to protect your accounts for every sign-in method, no matter if it is native cloud-only authentication in Azure AD or on-premises authentication with AD FS.